Need to distribute a batch of your product all at once? With Disk.com’s Fulfillment Services and Distribution Center, we’ll make sure your product is distributed within a timely matter based on your schedule with your preferred shipment method. Corporate Disk Company can provide all of your distributing needs with our team of professionals that work hard daily to fulfill your products at our distribution center. As an alternative to our Integrated Fulfillment services, our Distribution Center also offers a fulfillment service for when you just need a one-time distribution of a batch of your products. This can be helpful for when you are just shipping out a batch of product to a specific list of people. Sometimes it’s a small test launch to trusted advisers, or a small exclusive product to only your top clients or affiliate partners. Send us the list of recipients, and let us know what is shipping out, and we get the products delivered. With our many years of experience, you can trust that your products will get delivered from our distribution center, and that helps to make your customers happy. We can ship to just about anywhere in the world, and our shipping relationships it helps to get delivered in a timely manner. Great solution to help keep costs down by only shipping what is actually requested from your customers. 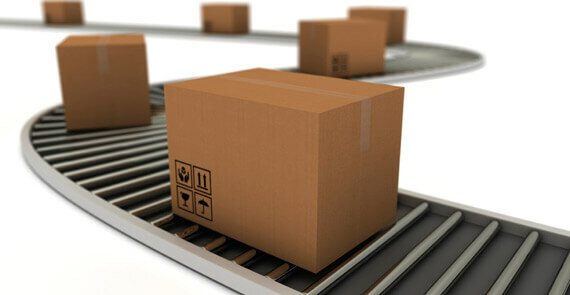 Centrally located in the US, helps to get domestic shipments delivered quickly, and cost-effectively.